TORONTO, ON – Muddy York Brewing has announced the release of a new limited edition beer brewed for a special historical event. William Lyon Mackenzie, the first Mayor of Toronto and one of the great architects of Canada’s democratic institutions is an odd choice as an inspiration for a new beer. He gave up drinking (and gambling) at the age of twenty-one. However, he was a rebel and a radical and has oversized importance in this city we call home. So, when we were approached to partner with the Mackenzie House (the museum located at W.L. Mackenzie’s home on Bond St.) for an event about beer in the Victorian Era, we were inspired to create a new single-hop pale ale featuring juicy, floral, and tropical Vic Secret. 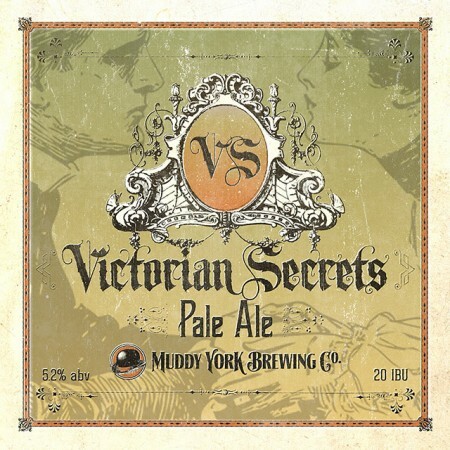 Victorian Secrets will be available today in can and on tap at Muddy York, and will also be one of the beers featured at the Victorian Beers event taking place at Mackenzie House next Thursday August 30th.